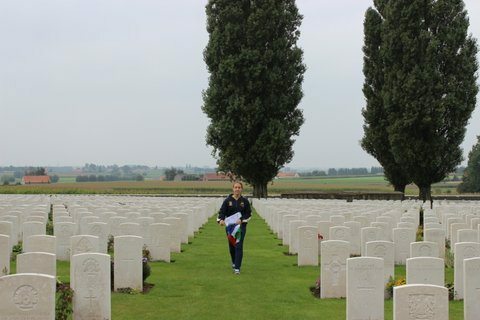 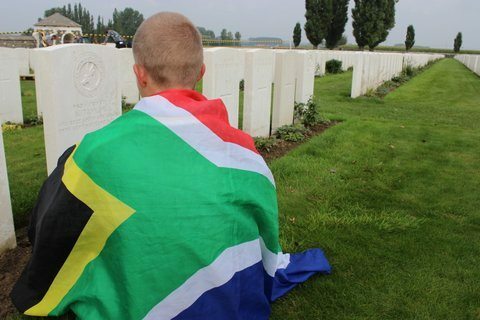 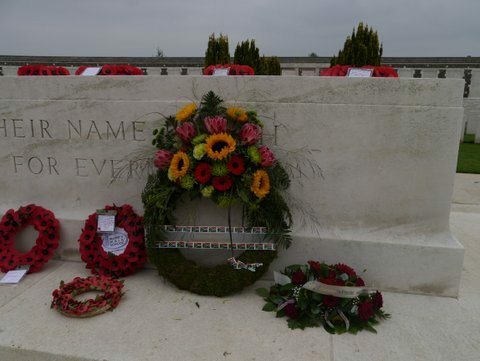 We previously posted a report on the reburial of three South African soldiers at Tyne Cot, and followed that up with a report on a planned visit by three South African schools. 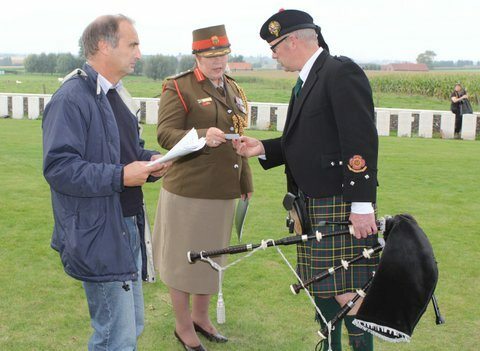 The gallery documents the visit. 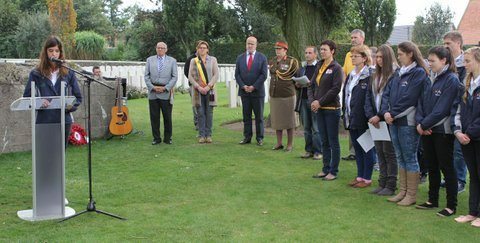 On 23 Sept. 2011 the remains of 3 South African soldiers were exhumed from the grounds of brick factory Wienerberger at Zonnebeke, Belgium. 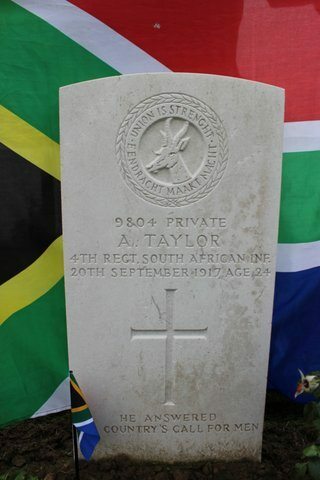 They turned out to be men of the 4th regiment, SA Scottish, 1st SA Infantry Brigade. 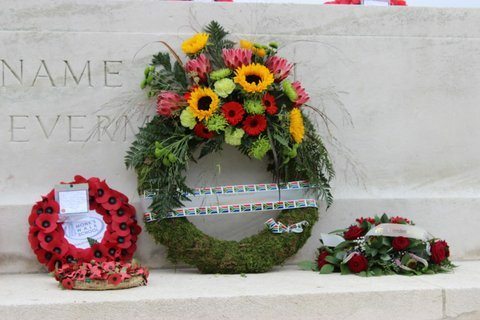 The soldiers died on 20 Sept. 1917 during Third Ypres. 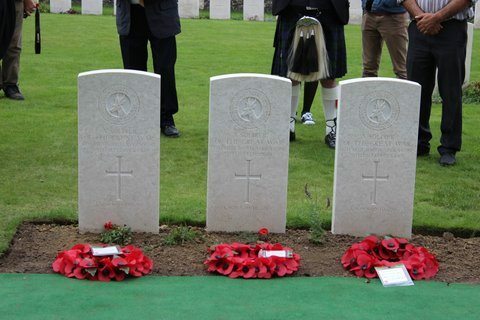 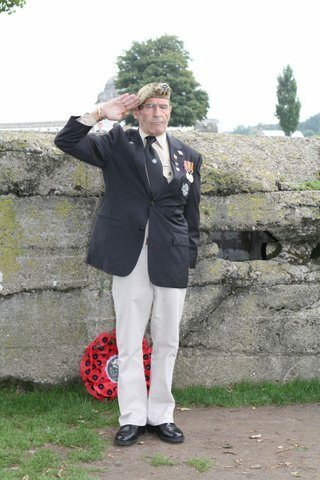 They were buried with full military honours on 9 July 2013. 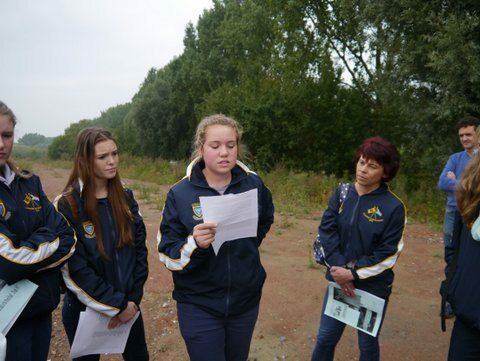 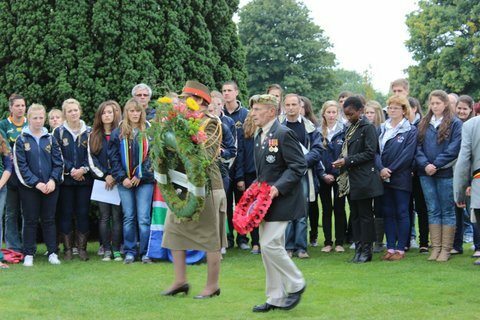 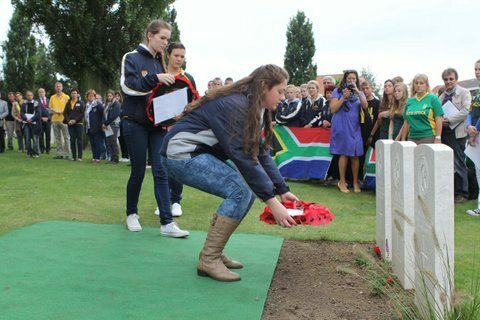 Two years after the discovery pupils from Hoërskool Waterkloof Pretoria, Hoërskool Centurion Pretoria and Hoërskool Strand, Cape Town have paid tribute to these soldiers and all South Africans buried at Tyne Cot. 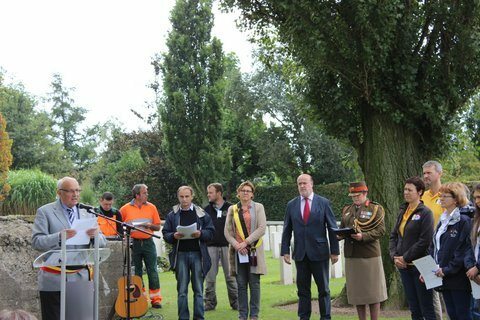 The commemoration was attended by the SA embassy, a representative of the Flemish government, the mayor of Zonnebeke and a representative of the CWGC. 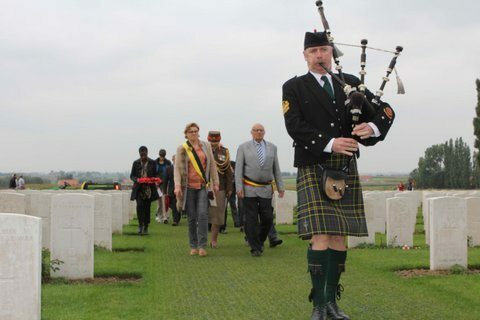 Accompanied by a piper they told the personal stories of Captain McDonald and of boy soldier David Schalke Ross. 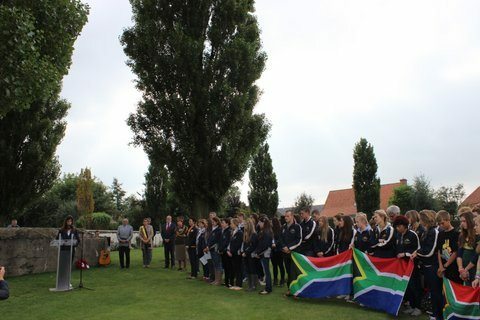 They then called out the names of all the known fallen South African soldiers at Tyne Cot. 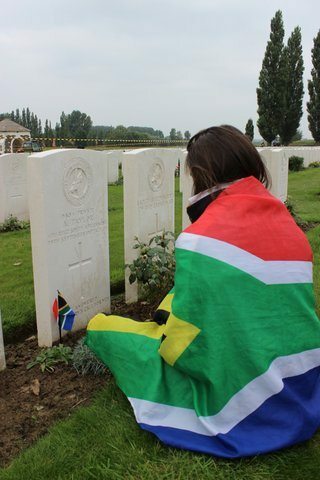 After the ceremony they planted SA flags on every grave.